The first question you have to ask yourself when you try to photograph a sock is, Who on earth takes pictures of a sock? But this is a knitting blog, so just by the fact that you're here at all I can guarantee you know the answer to that. 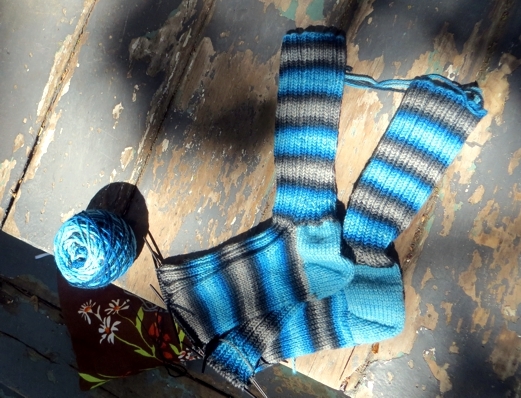 The second question is, how do you take pictures of a sock that's all ribbing stitch? 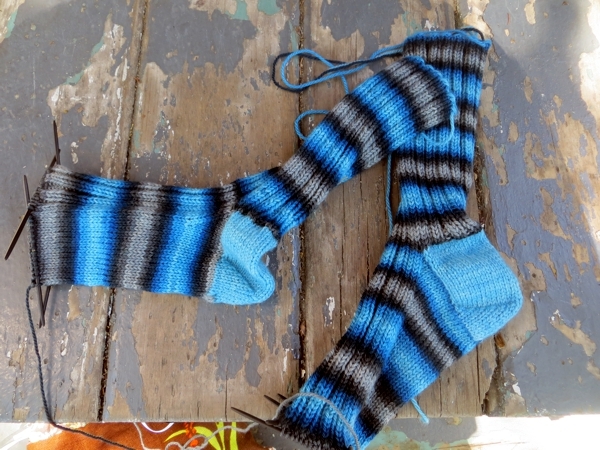 Because let me tell you: unless they're modeled on an actual foot, socks knit with ribbing stitch look weird. I would have modeled these ones, but they're not for me, and also they're only partway finished. As you can see: no toes. That's because they are part of my Evil Christmas Scheme. 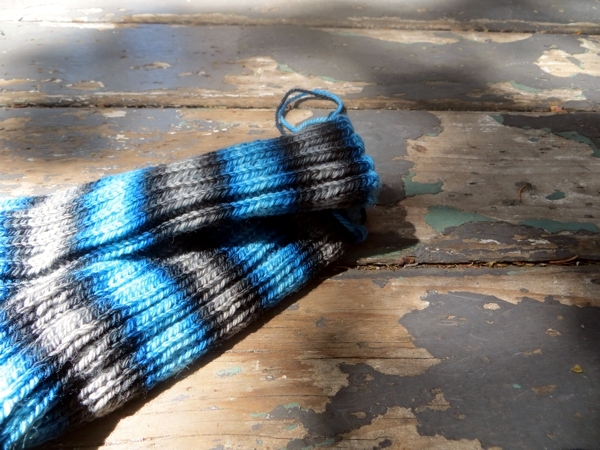 I'm knitting several pairs of socks this summer up to the start of what would be my own toe and no farther. That way, I have time to find out by stealth how long I should make that foot for reals. If I need to go farther for the person getting the socks, I can do that before I start the toe. And also, the actual period of 'gift knitting' will become superhugely less stressful, because toes take hardly any time at all. Genius? Let's hope so. 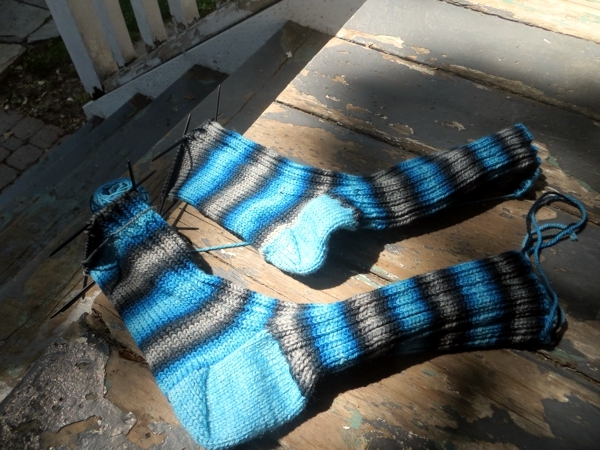 Meanwhile, I'm technically done a pair of socks that look an awful lot like the dinner rolls Charlie Chaplin slips onto forks and dances with, in The Gold Rush. Yes. But they're done! and so am I for today. Go have a wonderful time and I'll see you here again tomorrow.